Above photo: Moi against the valley and Dharmshala - a rare clear day. Raechel's family wrote: "On Monday at 3pm 7th January, 2013 Raechel suffered a massive asthma attack resulting in a cardiac arrest. Sadly she did not survive. Her angels have taken her and she is now flying free on her next journey. Farewell beautiful daughter, sister, lover, aunty, friend and nanny. You have left a massive hole in our hearts"
Photo's Below: (also included in slideshow of this page) are from a Beachside celebration of Raechel's life that was held by family and friends at Point Arkwright, Yaroomba on the 18th January 2013. Raechel Thomas (aka Raych Aryles) was an Australian Lyme Patient who died whilst living with, and fighting for recognition and awareness of Lyme. 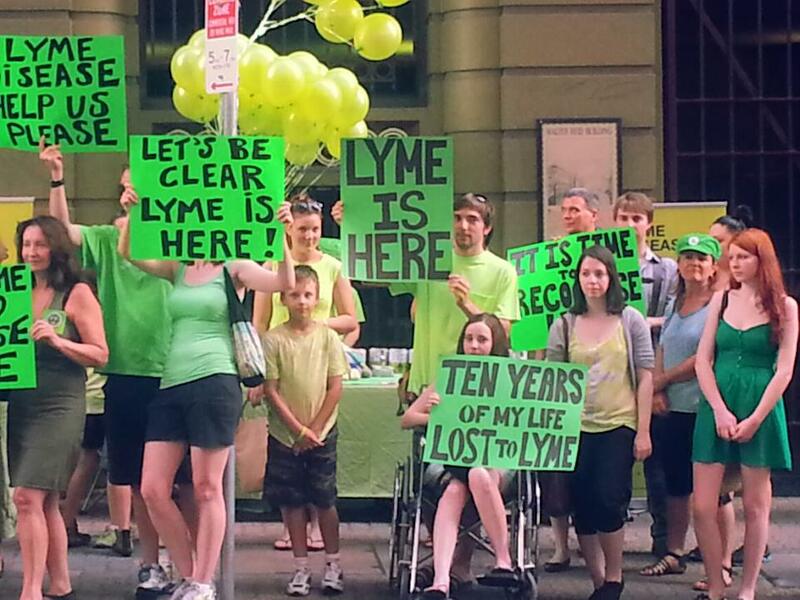 Raechel was so much more than a Lyme patient, and an advocate for its recognition. She was a daughter, sister, aunty, friend, nanny, earth angel. Some words used to describe Raechel in the numerous messages left on her facebook page were: Kind hearted, Beautiful, Caring, Soul Sister, Warrior Princess, Free spirit who had a smile for all. Raechel championed many causes, including Greenpeace and Lyme Awareness. There are a number of pictures in the slideshow at the top of this header of some of Raechel's amazing life adventures. Below are a few Pictures from her Lyme advocacy. On February 13th 2012, Today Tonight ran a segment (the first of around 6 in 2012) on Lyme in Australia. In this episode, they called for Australians to submit their pictures. Raechel submitted the opposite photo (in black and white) , which can be seen on the February 14th episode (screen shot in slideshow of this page) of Today Tonight. On the 7th of January I wrote on a post (The Lymie Roll Call Thread) that Brad, another admin member of LA&F, had started in the group about sharing stories and experiences. I explained that while I would like to contribute with my Lyme journey I would just share what I had written on my website link and would update later as it had been an extra rough week as our family dog had to go to the vet / his final resting place in the sky the following day due to a mast cell tumour. Raech passed on her condolences on hearing about my ‘furchild’ – and then went on to write / share her story. Within a couple of hours of her sharing her story in Lyme Australia & Friends Raechel received her angel wings. 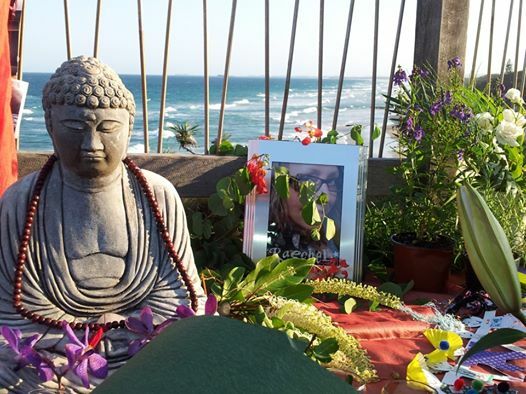 It was such a shock to us all, but Raechel was a very spiritual person - so for her – her angel wings simply means that the “earth” part of her journey has ended and she has moved on to the phase or her journey. What Raech taught me in the short time I knew her was if you believe in something - “Just do it”. 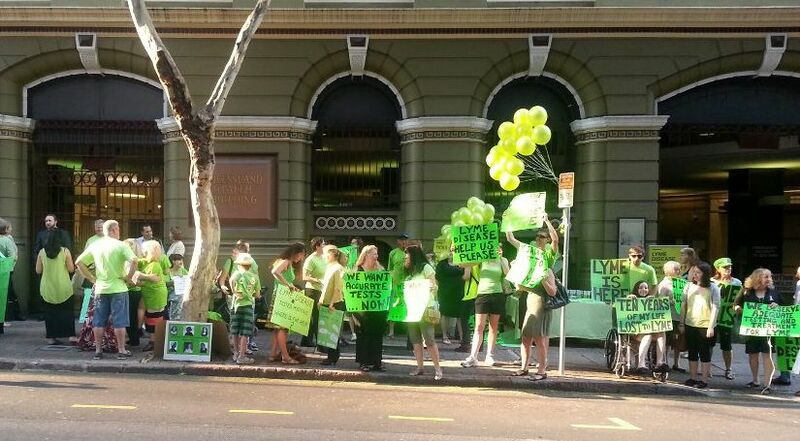 That was one of the reasons that the Lyme Australia Recognition and Awareness Facebook page came about when it did. It was published on the 18th of January 2013 – the day of Raechel’s celebration of life. Whilst the website had been published on July 7th 2012, I hadn’t had the confidence to undertake a facebook page until taking strength from Raechel's words of if you believe in something ~ “Just do it”. Reading all these stories makes my heart break about how you have all had to suffer so much all this time. My story pales into comparison really.... I was working in the Hinterland of Noosa Sunshine Coast when I was bitten by ticks in March 2012. My job was a Project Manager for a Sustainable Living Property so I was always working outside - my office was outside!! There were lots of wallabies and bandicoots around. The first symptoms I noticed were: really bad dermatitis, brain fog, couldn't concentrate, a feeling of the flu for weeks, eruptions on my back that looked like infected spider bites. I had never even heard of Lyme so didn’t suspect this. But my intuition said there's something wrong with my blood and thought it could be mite bites. I did a bit of research and read about Rickettsia and others but don’t recall reading about Lyme. I went to a BBQ at a friend’s place and met her neighbour. Offered her a drink of wine and she declined saying she was unwell. I asked why and she proceeded to tell me all about Lyme (while I am sitting there with symptoms I can’t figure out). I then told my sister about my symptoms and she said it sounds like Lyme. I remember saying don’t say that to me I just met a woman with it and her life has stopped. I say that she was my Earth Angel because she bought awareness to me about it. I went to my local GP (I usually never ever went to Dr's - treated myself with natural remedies and the like). So I saw someone I wasn’t familiar with. I told her my symptoms and said that I might have Lyme. She didn’t say it wasn’t here but said it's not supposed to be here. She looked up the treatment for Lyme and put me on Doxy. Ordered some blood tests and sent me on my way. The doxy had me feeling better within a day to two but I still didn’t feel quite right at the end of the treatment. I rang up for blood results and the receptionist told me it was negative and the Dr didn’t need to see me. A few weeks later some other symptoms started (one eye really bloodshot - like pinkeye and hot red flushes and the bull's eye rash appeared - which freaked me out) and I went back to the Dr. She asked why I hadn’t seen her earlier as she had written notes on my test for me to come back in. The receptionist took it upon herself to do this for what reason I do not know. My test came back equivocal which is probably rare - but who is she to take someone's health into her hands? I kept in contact with my Earth Angel and she said I should see her Dr and said she would mention me but that his books were closed so it might be hard. I managed to get in and went to see the Dr and he said I was doing all the right stuff and he couldn’t do much else. I was doing all natural, herbs and Lyme diet after my own research. He did put me on Plaquenil and other things that I don’t remember, though one was Bicillin. I moved to Brisbane in March last year and the doctor I found was quite good until I started having really bad allergic reaction to toxic dust from a worksite. She talked me out of having the Bicillin as she thought this was contributing to my bad allergies - but I have been this sensitive for a number of decades. But still I was feeling ok and thought I would see if it made a difference by stoping - About 4 months later the joint pain started and horrendous insomnia, so I am now back on Bicillin, doing natural protocol too and the diet. I have been told by some healers, spiritualists and an astrologer that I was meant to get Lyme to help others with it and to prevent others from getting it. I am one of the most giving people but it's a big price to pay to help others huh!!! Before I broke my cankle last year I was on the rampage writing letters to Govt departments from local to federal and trying to get a lawyer any lawyer to take on our case.